We have two great ways to enjoy Tockwogh programming as a family. 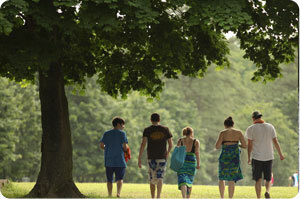 Memorial Day and Summer’s End Family Camps give families the perfect start or end to the summer months. As with all of our programs, part of the joy of camp is being in the outdoors, away from all of the distractions at home. Families get to enjoy all of the Tockwogh activities together. With sailing, waterskiing, horseback riding, arts & crafts, ropes courses, and more- everyone gets to be a camper again. Yes, even you too mom and dad! So join us for a family vacation that everyone can enjoy. We provide the lodging, food, and activities and all you need to bring is your family, some clothes, and a little excitement. SEFC Welcome Packet –2019 version coming soon!